Our carbon fiber shell, polyester fabric backpack has a cushioned interior that fits most 15’’ laptops. Its design includes a PVC anti-slipping bottom, tuck-away water bottle net, and comfortable contour straps that feature a reflective stripe. 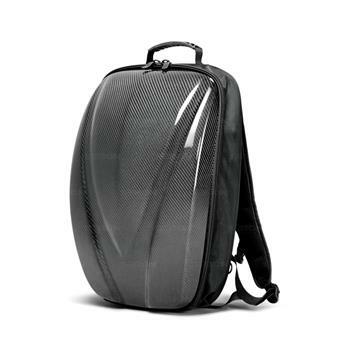 The carbon fiber shell is made from deluxe carbon material with 2×2 twill weave and is coated with a glossy clear coat.